And then along came Sam Mazza to save Pacifica’s mysterious castle– a full time, extremely successful San Francisco painting contractor and equally successful, part time modern “Knight in Shining Armor”. But it really wasn’t a “white elephant”. Sam saved Pacifica’s castle and the castle was good for him. (Sadly, Mr. Sam Mazza passed away at age 94 in 2002 and the castle became a part of his estate). 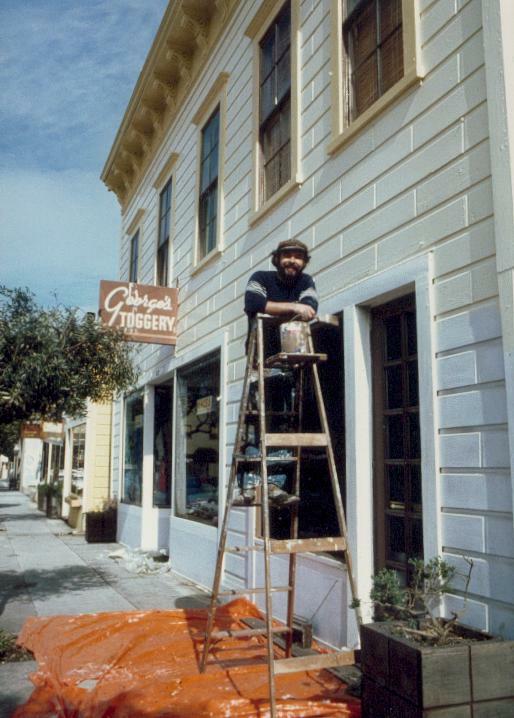 Brother Angelo filled in the family history noting that Sam was not a high school graduate but his painting business boomed in San Francisco. He had famous commissions including the reburbishing of the glamorous Fox Theater on Market Street where gold leaf columns and cherubs were painted on the high ceilings. “It was one of the most beautiful theaters in San Francisco,” Angelo confirmed. 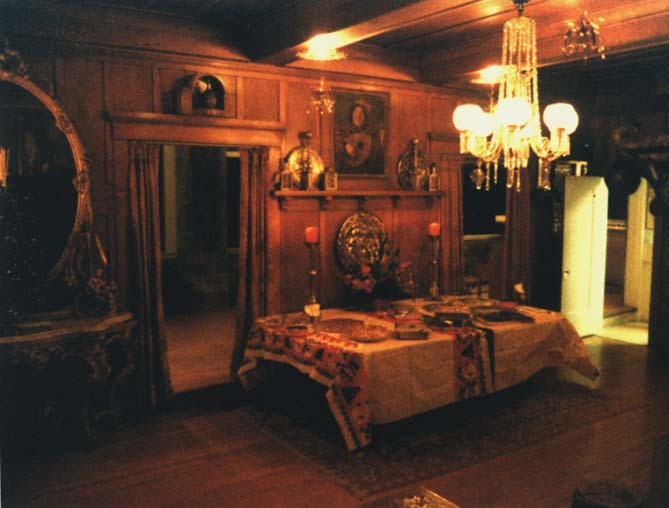 Most interesting–when the Mazza family arrived from Sicily in the early 20th century, they made their home on Hearst Avenue in San Francisco–and that certainly conjures up memories of William Randolph–and his super famous castle at San Simeon. Was Sam Mazza fulfilling a matching dream by purchasing his own castle in Pacifica? 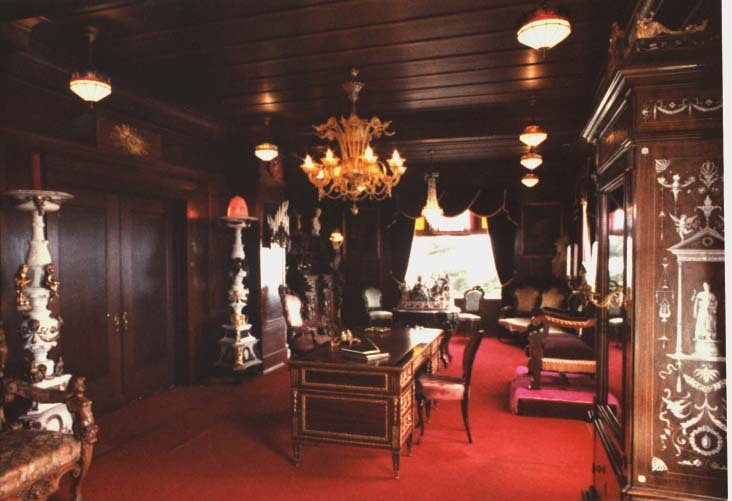 Like Hearst, Sam filled his Pacifica castle with his favorite antiques and memorabilia collected through the years–some of them from old Hollywood movie sets. Yes, it’s a real throne and Sam had fun asking guests to sit in the throne with a crown on their head. Sam Mazza relished the work of restoring Pacifica’s castle to its original splendor and was happy to share that with then Congressman “Pete” McCloskey, whose grandfather had built the castle. In 1920 Pacifica’s gray castle stood alone in a veil of secrecy, isolated on a hill, even more mysterious when wrapped in a swirling layer of fog. It seemed out of place watching over the working class cottages below–yet neighbors were acutely aware of the regular flow of strangers coming and going. There was reason to be watchful in 1920. 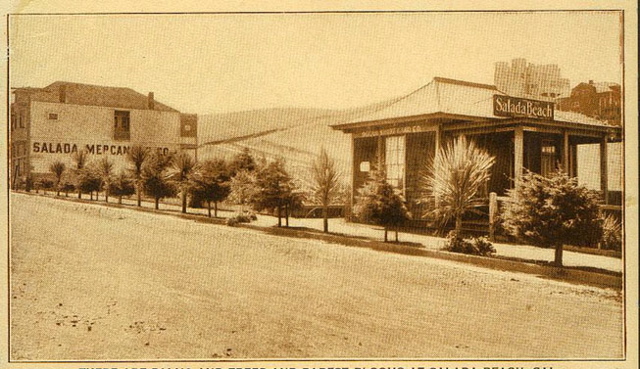 Prohibition had gripped the country, and, initially, the stringent liquor laws were ignored and illegal roadhouses became the way of life in Pacifica. The castle’s history was intertwined with the Ocean Shore Railroad, an iron road originally designed to carry funseeking passengers and local produce from San Francisco through the tiny beach resorts of Pacifica and Half Moon Bay, south to the popular resort Santa Cruz, and back again. But by 1920 the Ocean Shore proved itself to be a dinosaur, unable to compete with autos and trucks. Tracks were never laid farther than a few miles south of Half Moon Bay. And by the time Dr. Galen R. Hickok, a Berkeley physician, purchased the castle, scrapping the limping railroad had become a controversial topic. Some in Pacifica worried that without the railroad, the artichoke industry would suffer–but ultimately all attempts to save the Ocean Shore failed. Dr. Hickok didn’t move into the castle immediately. Instead he hired the Millers, an elderly couple, to tend the castle–but the doctor clearly planned to establish some kind of medical practice there. In 1920, toward the close of summer, the Millers suddenly left Salada for Ireland, and Hickok moved some of his belongings into the castle, including a bookcase of Shakespeare’s work, a gun rack with seven army muskets and a collection of antique swords that were nailed to the wall. Hickok also hired a nurse and housekeeper. It seemed like a modest beginning for his hospital. Originally it was hoped the railroad would bring prosperity to the community but with its demise, isolated Pacifica became a haven for bootleggers and rumrunners. Surrounded by criminal activity spawned by Prohibition laws, Salada Deputy Sheriff E.J. Hutley became suspicious of everybody. The gray cstle on the hill became a center of suspicion and was soon referred to as the “Castle of Mystery”. Sheriff Hutley wondered why were the taxi cabs driving up the hill to the castle late at night? His question was soon answered. 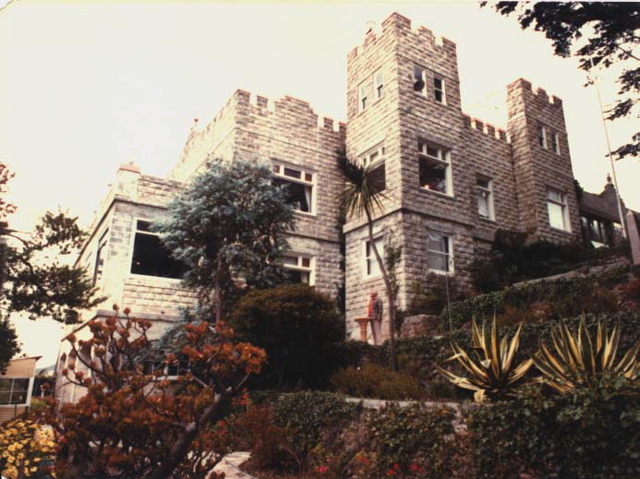 Following leads, San Francisco and San Mateo County police had already been alerted that the castle was being used as an abortion clinic, “a retreat for girls and women unwilling to become mothers”. Operating through a tip, two famous San Francisco police detectives posed for photographs on the hill, the castle looming behind them. Wearing his trademark homburg hat, Detective Miles Jackson stood beside matronly Policewoman Katherine O’Connor, one of three women on the force. 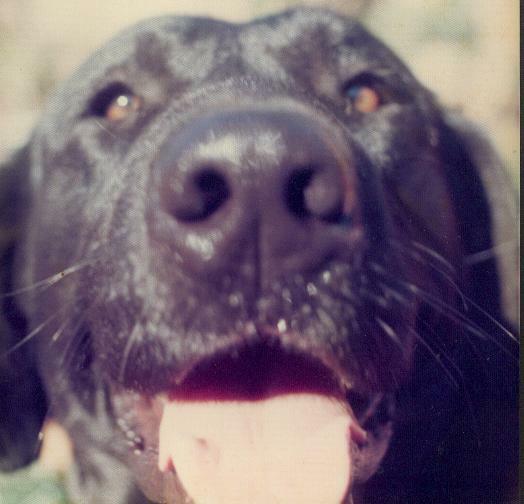 Jackson was a tough cop who would later die in a shoot-out with gangsters. Followed the press and their cameras, Jackson and O’Connor, walked across the grounds, opened the gate and knocked on the castle’s heavy oak front door. No response. They then rang the doorbell. Finally a stunned housekeeper appeared, insisting she had been hired a few days earlier and knew nothing. Her story checked out and she was not questioned any further. Cleo Tevis, a uniformed nurse, was far more confident and accommodating. In the richly carpeted hallway, Detectives Jackson and O’Connor looked warily at the collection of muskets, swords and spears. But in rooms alleged to have been equipped in hospital fashion, the police found female patients, underage. The women told of visiting a surgeon’s office and then being taxied to the castle for “convalescence”. Soon the castle was swarming with police, including Daly City’s Landini, San Mateo County Deputy T.J. McGovern and District Attorney Franklin Swaart who would try the case in Redwood City. The press had a field day. At one point there were allegations of human bones found on the castle’s grounds, and although they led to sensational headlines, it came to nothing. In early December 1920 Dr. Hickok went on trial for performed an illegal abortion. As the doctor shifted uncomfortably in his seat, a female witness testified that an operation was performed in a converted kitchen. Hickok’s attorneys did their best to prove that their client was innocent but the case against Hickok was overwhelming, and the doctor was sentenced to San Quentin. Soon after the trial ended, the castle entered another phase. Renamed the Chateau LaFayette, it became a lively roadhouse, raided repeatedly for selling illegal booze during Prohibition. Predictably, at the end of Prohibition, the Chateau LaFayette closed down. The “Castle of Mystery” became neglected and sat unoccupied on the hill, a conversation piece for those who noticed its turrets from the roadside. To the locals it was a landmark used to measure distance from one site to another. The castle became shabby and nobody seemed to care. Former Peninsula Congressman Paul N. âPeteâ? McCloskey will announce tomorrow that he will run against incumbent U.S. Rep. Richard Pombo (R-CA) in the Republican primary for the Northern California congressional seat, according to the Associated Press. You may recall that the 78-year-old McCloskey, a lawyer, and much decorated Marine Korean war hero, spent seven terms in the Congress, first winning a Special Election in 1967 as an anti-Vietnam War, pro-environmentalist candidate. (He first won notoriety as the attorney for Woodside residents who opposed construction of the Stanford Linear Accelerator (SLAC). That hotly contested election won national attention as âPeteâ? prevailed over former child super-move star and Woodside resident Shirley Temple Black. His victory was a shocking upset. One of Pete McCloskeyâs successful political strategies was to walk through neighborhoods, knocking on doors, introducing himself, chatting with the voters. This intimate personal style worked and he would become a fixture in the U.S. Congress for over a decade. McCloskey was no stranger to controversy. As a maverick, and a dove, often controversial, he never hesitated to criticize President Nixonâs Vietnam policy. McCloskey has strong ties to Pacifica where his grandfather, Henry Harrison McCloskey, also an attorney, built a castle by the sea, one of the now-suburban coastside town’s most fascinating landmarks. 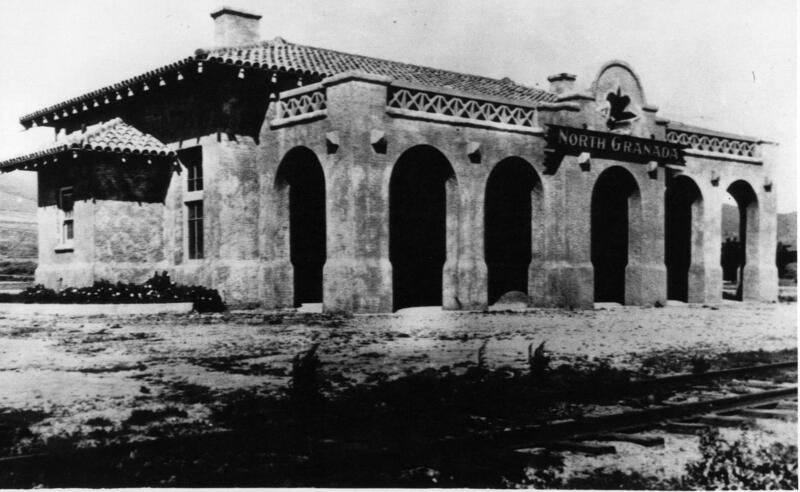 In what was then called Salada Beach, construction began in 1908 on San Francisco attorney Henry McCloskey’s unique two-story residence, coinciding with the inauguration of the luckless Ocean Shore Railroad. 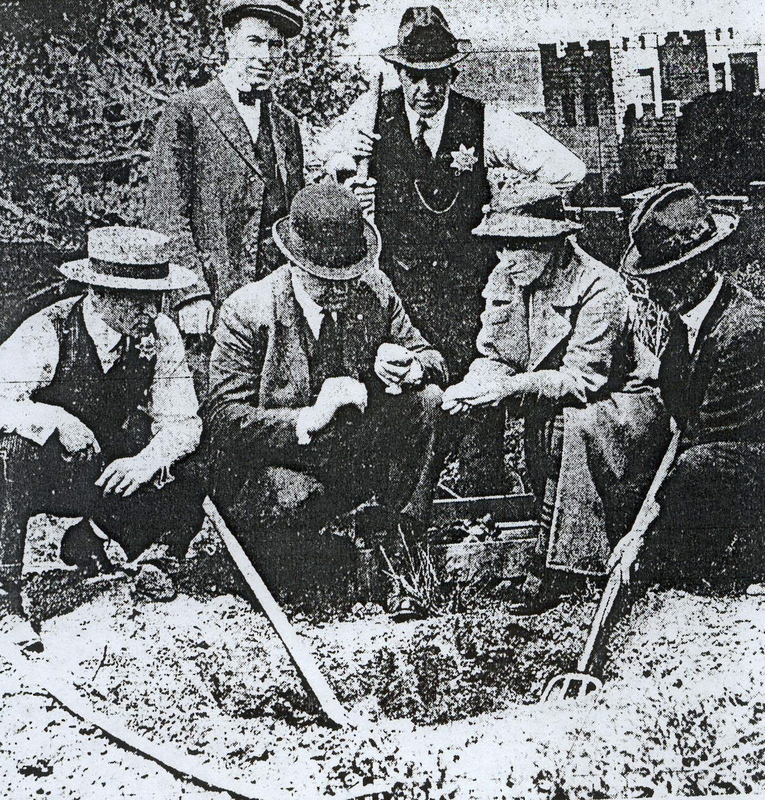 McCloskey’s clients included the Ocean Shore Land Company, a subsidiary of the railroad. With great optimism, tracks had been laid from San Francisco through a collection of new beach communities, comprising present-day Pacifica, with stations at Edgemar, Brighton, Vallemar, Rockaway, Tobin and Salada Beach. Running across Devil’s Slide, south to Half Moon Bay, the train tracks dead-ended at a Tunitas Creek saloon run by the husband of the eccentric sculptress Sybil Easterday. Surely Henry McCloskey’s professional ties with the Ocean Shore–which promoted homesites for those fleeing the 1906 San Francisco Earthquake–helped the land company attorney to acquire the hilltop property overlooking Salada Beach. 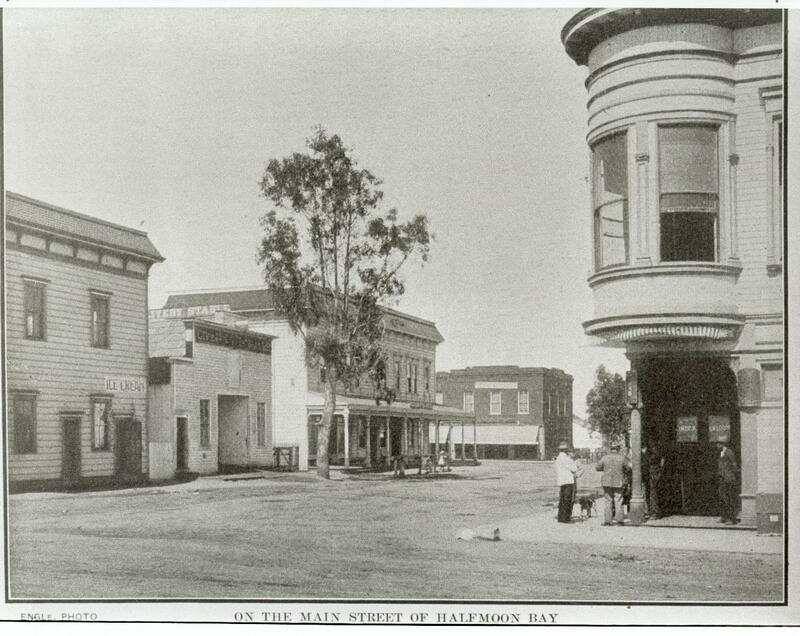 The railroad’s founders presented an imaginative recreationally-oriented vision for what is now the city of Pacifica. Their ambitious plan included not only homes, but a festive atmosphere for weekend funseekers riding the train to the resort towns dotting Pacifica’s lovely coastline. At Salada Beach, now called Sharp Park, a bandstand, casinos and a promenade, with steps leading down to the ocean waves, were contemplated. 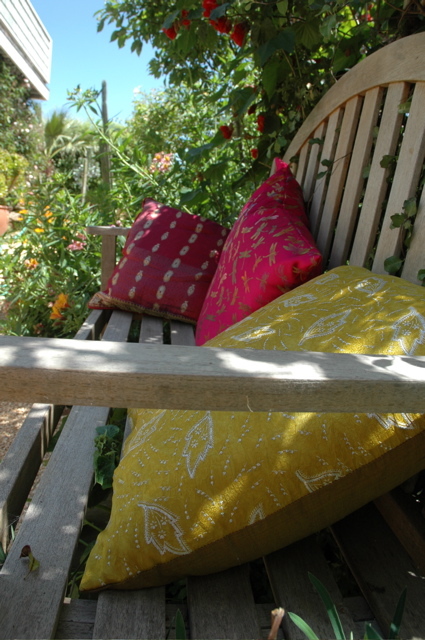 Designers sketched hillside theme hotels, all within sight of the gleaming Pacific Ocean. (For a fun read, check out “The Last Whistle” by Jack Wagner, in Coastside libraries). The hillside hotels nevver appeared but the excitement generated by the railroad’s vision inspired McCloskey to commission San Francisco architect Charles MacDougal to create a one-of-a-kind residence. 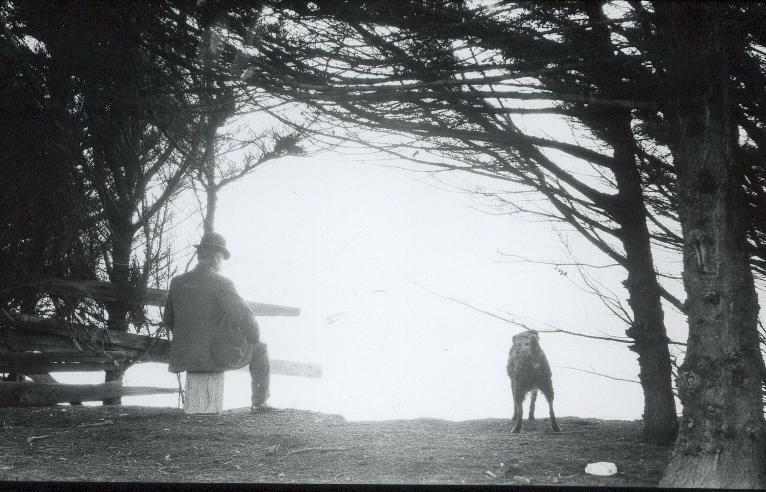 In 1908 the McCloskey family, including son, Paul, the father of future Rep. “Pete” McCloskey, moved into the castle they christened “Bendemier”, a solitary mountain-top retreat with spectacular ocean views that remain to this day. Henry H. McCloskey died in the winter of 1914 and soon after his widow sold the magical castle–today accessible only by walking or driving up a 45-degree hill. 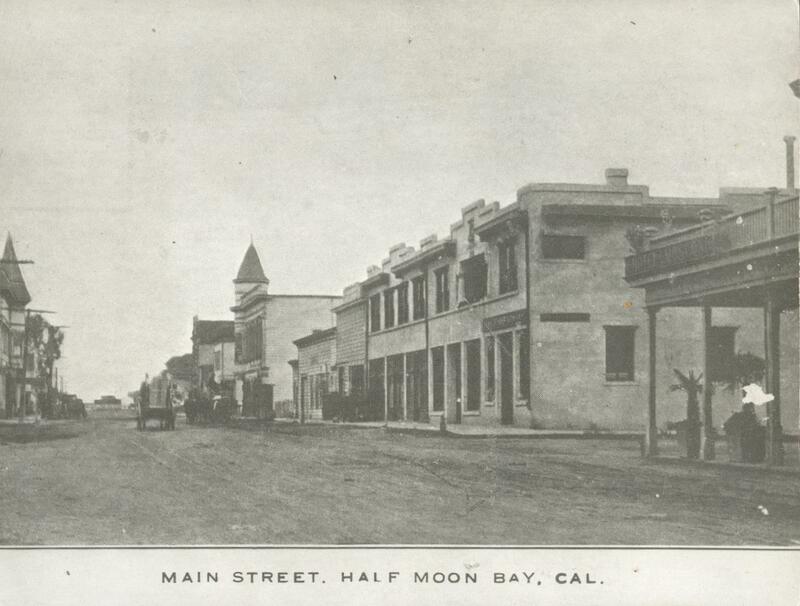 George’s Toggery in Half Moon Bay was a favorite Main Street landmark because the historic hitching post on the street outside reminded locals that horse and carriages once carried folks to town to shop.